Mission: The Chippewa Watershed Conservancy’s mission is to protect and restore Central Michigan’s land, water, and wildlife resources to improve the quality of life for all. Vision: We see a world where communities are enriched by being connected to land, water, and wildlife resources. Service Area: Our service area is Clare, Gratiot, Isabella, Mecosta and Montcalm Counties in the state of Michigan. Land Protection: We believe that it is critical to set aside land to be preserved in a natural state for its scenic beauty, wildlife habitat protection, water and air quality protection, recreational opportunity and community sustainability. Water Quality: We believe that by protecting and restoring land that we play a pivotal role in preserving water quality for all. Wildlife Habitat: We believe in the value of protecting wildlife habitat in order to preserve biodiversity. Access to Nature: We believe that providing opportunities for public non-motorized outdoor recreation opportunities on lands we own and manage that does not permanently impair its condition is an effective way to connect people to the natural environment. Environmental Education: We believe that educating both children and adults is core to our success and sustainability in the long-term. Environmental education is an important tool to connect adults and children to nature, spread awareness about the need for land conservation and increase the presence of CWC in the community. High Visibility and Broad Support: We believe all people in Central Michigan should recognize our name and positively associate us with land and water conservation. Sustainable Management: We believe that building adequate financial and human resources is essential to allow us to achieve our mission in perpetuity. Other Information: CWC is a 501(c)(3) nonprofit organization. Our Employer Identification Number (EIN) is 38-3181796. 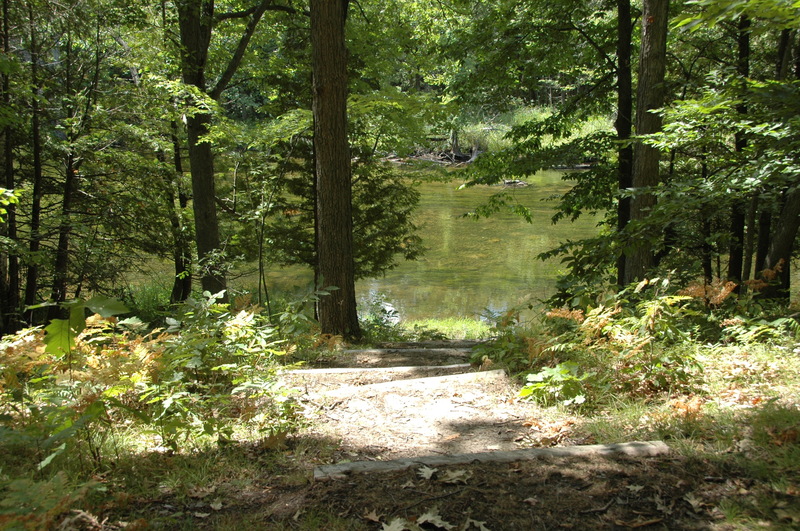 Chippewa Watershed Conservancy is a nationally accredited land conservancy. The accreditation seal recognizes land conservation organizations that meet national standards for excellence, uphold the public trust and ensure that conservation efforts are permanent. 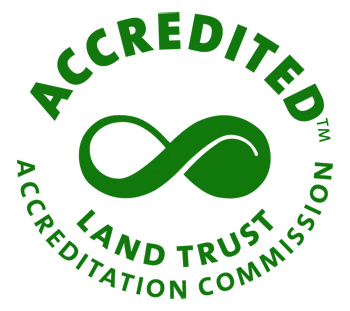 The Land Trust Accreditation Commission awards the seal to community institutions that demonstrate the ability to protect important natural places and working lands forever. 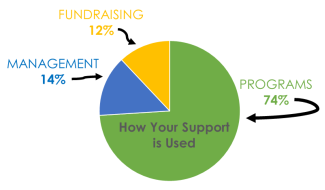 The Commission, an independent program of the Land Trust Alliance established in 2006, is governed by a volunteer board of diverse land conservation and nonprofit management experts from around the country. For more information please visit www.landtrustaccreditation.org. The Chippewa Watershed Conservancy was awarded the seal by the Land Trust Accreditation Commission in 2012. CWC was reaccredited in 2017.